Rainbow Flea Market. 44 Bodwell Street. Avon Industrial park. Route 24, Exit 19A. Market hours 9am-5pm. Admission charge .50. Ample parking. Indoor market with approximately 50 dealers. Collectibles, small antiques, coins, silver, jewelry, glassware, lots of new and used merchandise. Market conducts a public auction on Wednesday evening starting at 6:30pm. Snack bar, restrooms. Space from $30 inside and $10 outside. c/p Gary Montgomery, 44 Bodwell St. 02322. (617) 583-3781. Antique & Collectibles Shows. Antique Acres, Route 20. Parking is at best difficult, miles of walking. One of the largest and finest of all antique & collector shows in the U.S. 800 to 1000 dealers set up outside selling quality wares. Over 20 farm fields of merchandise from tableware to fine art to furniture. Show is usually held 3 times per year. If you are a serious buyer or collector/investor this is a show that you do not want to miss. Plan to spend a couple of days. For dates and more information please contact: Jill Lukesh, J & J Promotions, P. O. Box 385. 01010. (413) 245-3436 or (978) 597-8155. Community Church Flea Market. Chilmark Community Church. Menemsha Crossroads. Hours: 8:30 to 3pm. Seasonal market, late spring to fall. Outdoor market with approx 50 dealers. Furniture, new and lots of new closeouts. Used merchandise, some antiques and collectibles. Lots of bric-a-brac. Space from $20. per day. Good food, restrooms, h/a. c/p Phyllis Conway, Box 16 RFD, 15 Moses West Road. 02535. (508) 645-5216. Douglas Flea Market. NE Main Street. Routes 16 & 146. Ample parking. Sat 10 am to 2 pm, Sun 8 am to 4 pm. Indoor/outdoor market. Antiques, collectibles, farm collectibles, new and used merchandise, handmade crafts, produce. Market is located in an historic dairy barn. Approx 25 dealers. Restrooms, food available, h/a. Space from $2. outside. c/p Marlene Bosma, Box 634, 01516. (508) 476-3298 or 278-6027. Grafton Flea Market. Route 140. Grafton-Upton town line. Hours 6am-5pm. Admission charge. Ample parking. Approximately 200 dealers. 24th year of operation. Wide variety of antiques & collectibles, some crafts, new merchandise and produce. Market has a special collector section, coins, stamps, cards, etc. Snack bar, restrooms, h/a. Indoor/outdoor market. Space from $25. Seasonal market held March-December. c/p Harry Peters, Box 206. 01519. (508) 839-2217. Olde Hadley Flea Market. Route 47 North of town. Hours 7am-5pm. Ample parking. Outdoor market with approximately 100+ dealers. Antiques, farm items, primitives, crafts, coins, collectibles, used merchandise. Snack bar, restrooms, h/a. Space from $20. Seasonal market open April-October. c/p Raymond Szala, 45 Lawrence Plain Rd, Rt. 47 S. 01035. (413) 586-0352. Hadley Antique Center Market. Route 9. Ample parking. Antiques, furniture, collectibles, jewelry, silver, decorator items, glassware, linens, art, books, prints. Food available, restrooms, h/a. (413) 588-4093. Rietta Flea Market. 183 Gardner Road. Route 68. Hours: open either 6am/7am until the vendors clear out which is between 2-3pm. Ample parking. Approximately 500 dealers. Market is strong on antiques, collectibles and decorator items. Good variety of food here, bar, restrooms, h/a. Clean, well run market with good family atmosphere. Space from $20. Restaurant, snack bars, restrooms, h/a. c/p Ronald Levesque, Box 35, 02048. (978) 632-0559. Kingston 106 Antique Flea Market. 20 Wapping Road. Route 106. Hours 9am-4pm. Ample parking. Indoor market with approximately 50 dealers. Antiques, antique furniture, collector items, silver, collectible glassware, military items and crafts. Monthly rentals only. c/p Barbara Stevens, Church St. Duxbury, MA 02332. (617) 934-6711. Flea Market. Route 7 and 20. Ample parking. 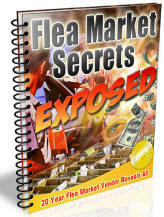 New and used merchandise, general flea market fare including: crafts, collectibles, giftware and produce. Snack bar, restrooms, ample parking. Inside and outside space from $8. (413) 440-2893. Ludlow Flea Market. 1099 Center Street. Route 21 North. Massachusetts Turnpike, exit 7. Outdoor market. c/p Grace Machado, (413) 589-0419. Massachusetts Merchandise Mart. 810 Lynnway. Market open Wednesday, Saturday and Sunday 10am-6pm. Thursday and Friday 10am-9pm. Ample parking. New merchandise, electronics, house wares, jewelry, tools, sportswear, sports merchandise, toys. Also plenty of collectibles, decorator items, gifts, imports. Snack bar, restrooms, h/a. Good market for the budget conscious shopper to stock up on new household and personal items. (781) 598-5450. Malden Flea Market. 42 Ferry Street. Junction of Route 60 and Ferry Street. Indoor market. c/p Stanley Krigman, (781) 324-0113. Amish Farmers Market. Route 5. Used merchandise, collectibles, antiques, furniture, farm items, lots of Amish crafts, produce and products. Food available. (301) 494-3966. Merrimack Antique & Flea Market. Broad Street. Ample parking. Antiques, collectibles, glassware, farm and country collectibles, sports memorabilia, china, linens, primitives, advertising items, many fine collector items here. Used merchandise, crafts, produce. Snack bar, restrooms, h/a. Indoor market. The Millis Antiques & Collectible Market. 813 Main Street. A nostalgia lovers market with antiques, furniture, collectibles, glassware, silver, coins, jewelry, clocks, quality decorator items. Snack bar. (508) 376-4774. Bailey's Antique Flea Market. West River Street. Route 2, W. River Street Exit. Ample parking. Approximately 300 vendors. Large selection of quality antiques and furniture here. Collectibles, silver, coins, linens, glassware, house wares, toys, vintage clothing. Food available, restrooms, h/a and lots of walking. Space from $10 outside & $25 inside. c/p Ronald Paoletti, Box 6, 01364. (508) 456-8593. Country Place Flea Market. Routes 24 and 44 on South Street. Hours 8am-6pm. Market is also open on Saturdays from Thanksgiving to Christmas. Admission charge. Ample parking. Approximately 300 dealers. New merchandise, sportswear, jewelry, silver, glassware, vintage clothing & jewelry, antiques, books, collectibles, coins. Used merchandise, bric-a-brac and house wares. Inside and outside space available form $20. Full service restaurant. Snack bar, restrooms, h/a. c/p Jeff Mann, Judson & South Streets, 02767. (508) 584-4432 or 823-8923. Fax: (508) 824-2339. All Antique Flea Market. Route 44. Large selection of antiques, furniture and quality collectibles. Lots of nice decorator items, silver, glassware, toys, vintage clothing, kitchen collectibles, primitives. Food available. c/p Rick Verdi, (617) 252-4353. Revere Swap 'N Shop. Showcase Cinema. 565 Squire Road. Hours 7am to 4pm. Seasonal market open March through December. Admission $1. Per person. Ample free parking. Outdoor market with approx 250 dealers. New and used merchandise lots of flea market and garage sale merchandise. Crafts, imports, gifts, some antiques and collectibles. Space from $30. Per day. Snack bar, restrooms. c/p John Nerich, 565 Squire Road, 02151. 9781) 289-7100. Condesa Antique & Flea Market. 3129 County Street. Route 138. Hours 9am-5pm. Ample parking. Antiques, furniture, collectibles, glassware, primitives, vintage clothing, linen, jewelry, sivler, coins, Civil War items, art, books and prints, as well as more traditional flea market wares. Approximately 200 dealers. Snack bar, restrooms, h/a. Indoor market. c/p Richard Mansueto, (617) 676-3519. The Swansea Flea Market. 1046 GAR Highway, Route 6. Hours 9am-5pm. Ample parking. New and used merchandise, collectibles, antiques, crafts, decorator items, gifts, imports, art, books, prints. Food available. (800) 679-9466. Douglas Flea Market. N.E. Main Street. Open 9am-4pm. Free parking and admission. Approximately 250 daily attendance. New merchandise, baseball cards, collectibles, antiques, bake shop and caterer on premises. Good market for the dealer, collector or decorator to shop. Clean restrooms. Country Atmosphere. Indoor/outdoor market. c/p Marlene Alsop Bosma. 01516. (508) 278-6027. Antique Fair & Flea Market. Route 28. Ample parking. 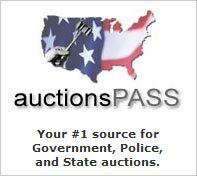 Antiques, collectibles, furniture, sports memorabilia, coins, linens, primitives, Military items, art, prints, books, farm and country collectibles. Food available, restrooms, h/a. (508) 295-2702. Wellfleet Flea Market. Route 6. Wellfleet Drive In Theater. Hours 8am-4pm. Admission charge. Ample parking. The number of sellers depends on the season and runs from 50 to 300. Antiques, new merchandise, lots of crafts. Garage sale items, bric-a-brac, housewares. Outdoor market. Market open April thru October. c/p Eleanor Hazen, Box 811. 02667. (508) 349-2520. Fax: (508) 349-2902.